The Nativity. Congo Square Theater. 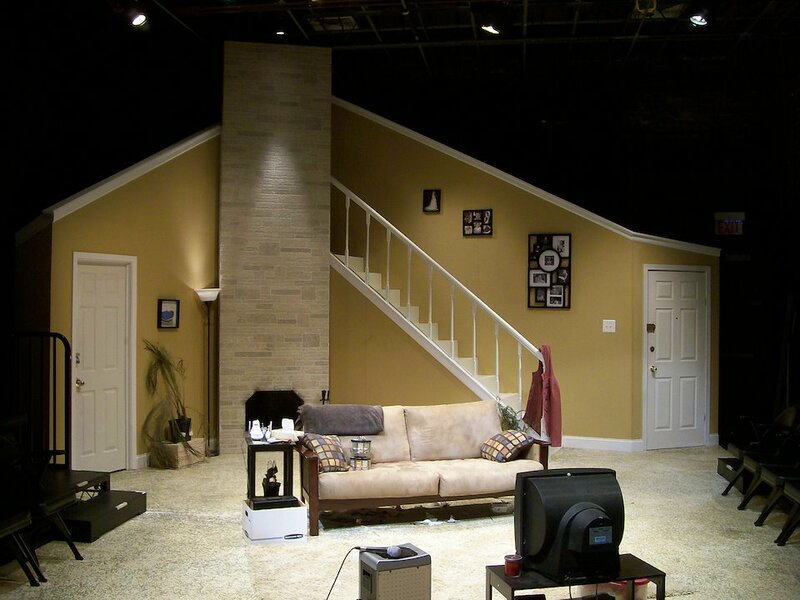 I would like to introduce Seagull Works Scene Shop as a resource for all of your set construction needs. 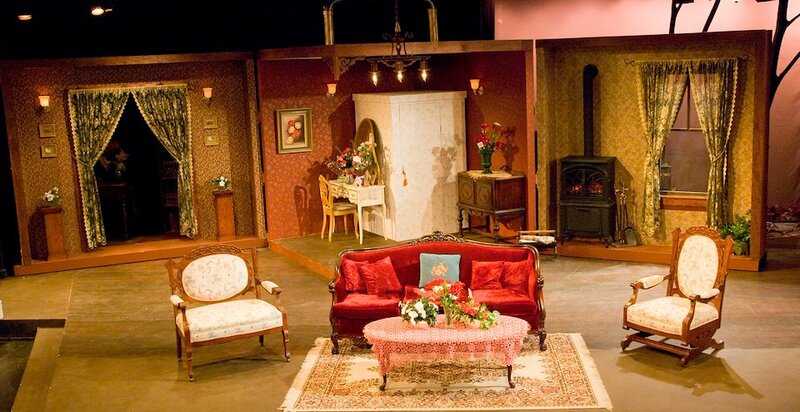 Founded by myself, we have been producing top quality and award winning sets at an affordable budget since 1999. 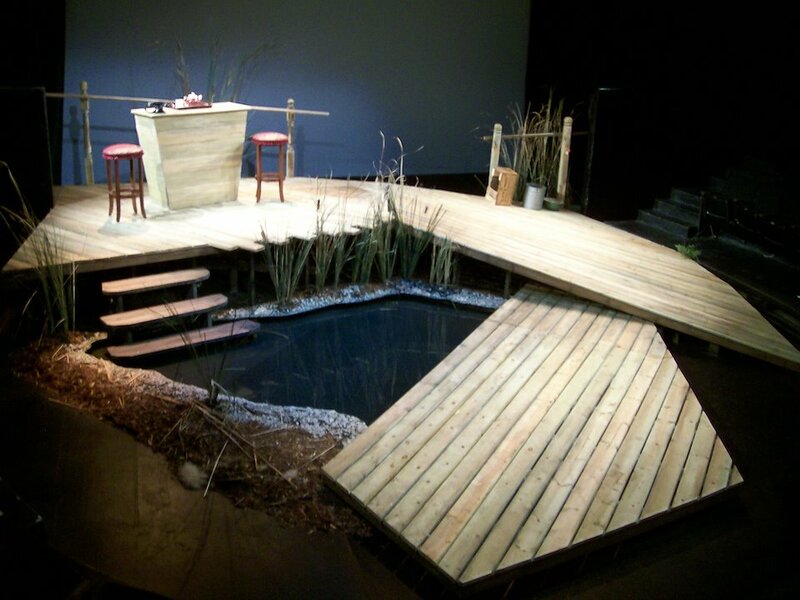 Our experienced team will collaborate with your creative staff in creating custom scenery that is dynamic and interactive. We also offer services in design and renovation with a free estimate. Please check out our portfolio on our website and keep us in mind for your future projects. |. 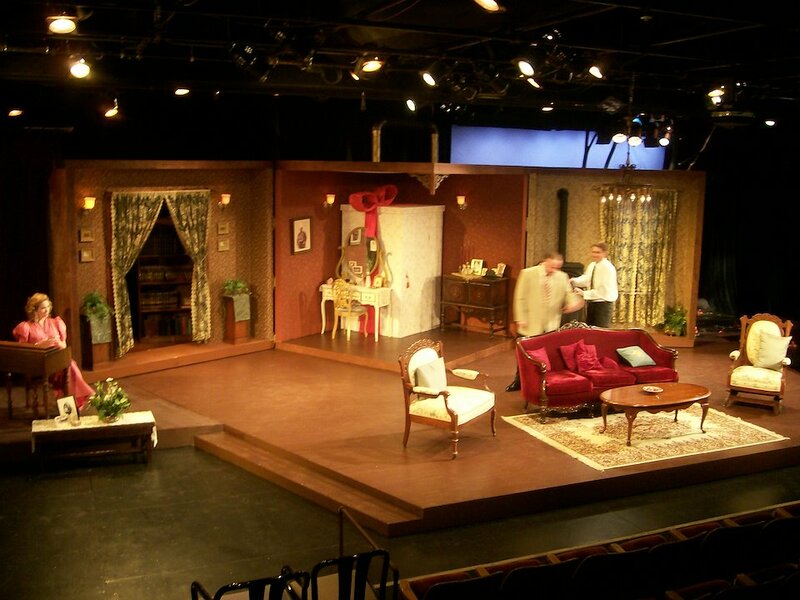 Our award winning designers will design and produce sets for your exact budget, and not a dollar more! ||. Low budget? 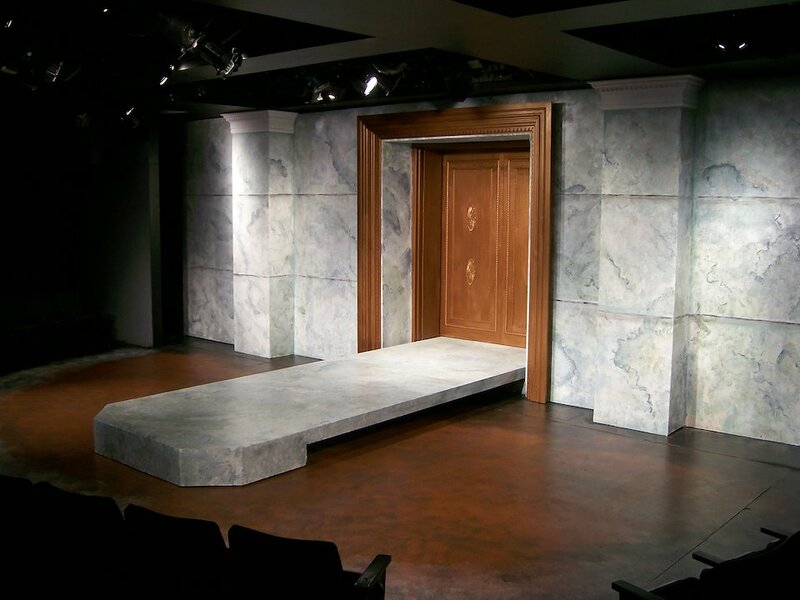 We will build just the essential elements of your set. Order today and pick up tomorrow! Paint by yourself and Save! “Bulrusher” by Isa Davis. Congo square theater. 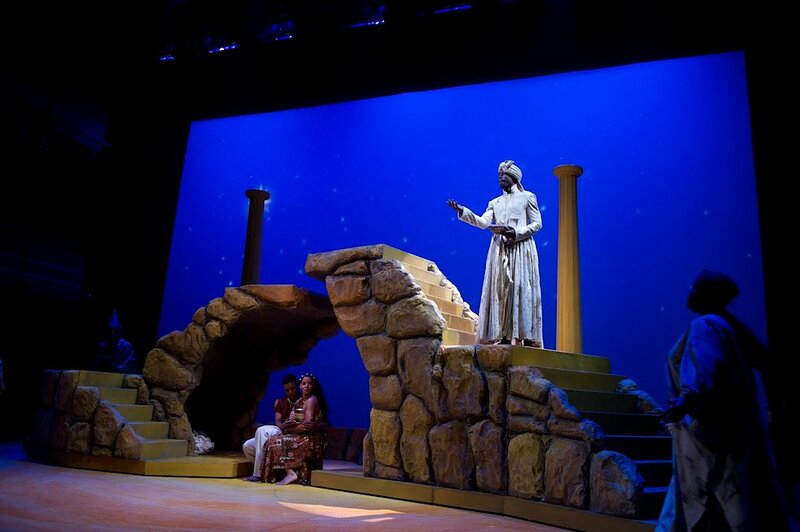 and 2013 BTA Award winner for Best Set Design. The colored museum. Congo Square Theater. 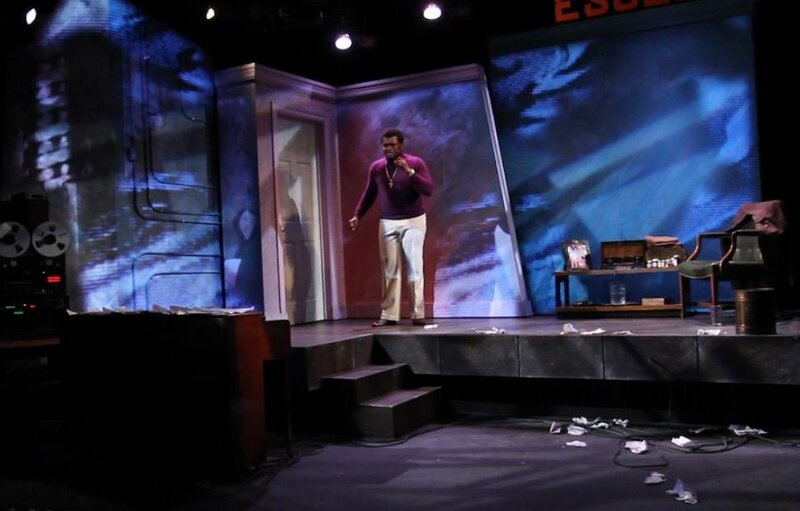 "…Designer Andrei Onegin’s minimalist but effective multilevel set (neatly lit by Richard Norwood, and with evocative projections by Liviu Pasare), puts the focus on the play’s outstanding actors and lets Mosley’s bristling language dominate. … "
"…Andrei Onegin’s lovely vine-covered set suggests a life overgrown by a callous world but the ensemble fails to capture the bittersweet nostalgia and frustrating lack of action the characters are mired in. 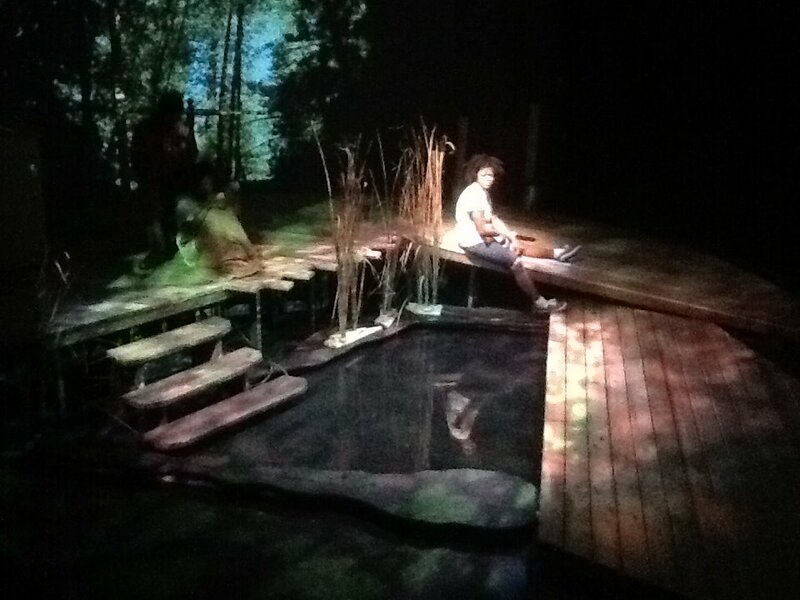 While Michael Menendian’s direction insists on livable pacing, it doesn’t seem to scratch the piece’s emotional surface. "…Andrei Onegin’s set is effectively simple and suggestive of the barracks and officer’s offices. Its sparseness is entirely appropriate for the flashback scenes in which Davenport’s interviewees recount their versions of the events leading up to Waters’ death…"
John Olson. Chicago Theater Beat. 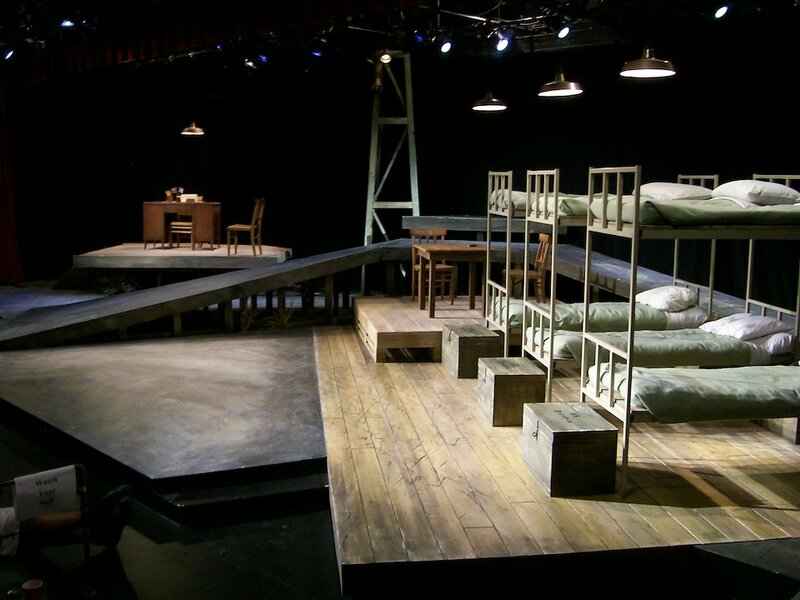 "… The physical production is excellent, starting with Andrei Onegin’s set, an arrangement of ramps and platforms that fluidly allows the action to shift among numerous locations in and around the army base…"
The baloon man. Redmoon Theater. Brothers of the dust. Congo Square. 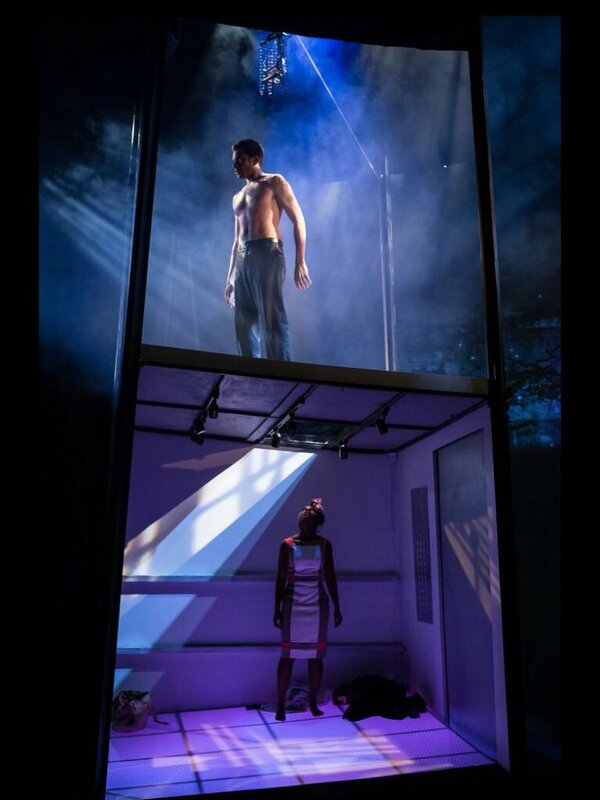 BTAA Award nomination for best set design. "…Andrei Onegin’s versatile inside-outside set subtly highlights the play’s less explicit examination of public versus private lives …"
Neal Ryan Shaw. NewCity Chicago. 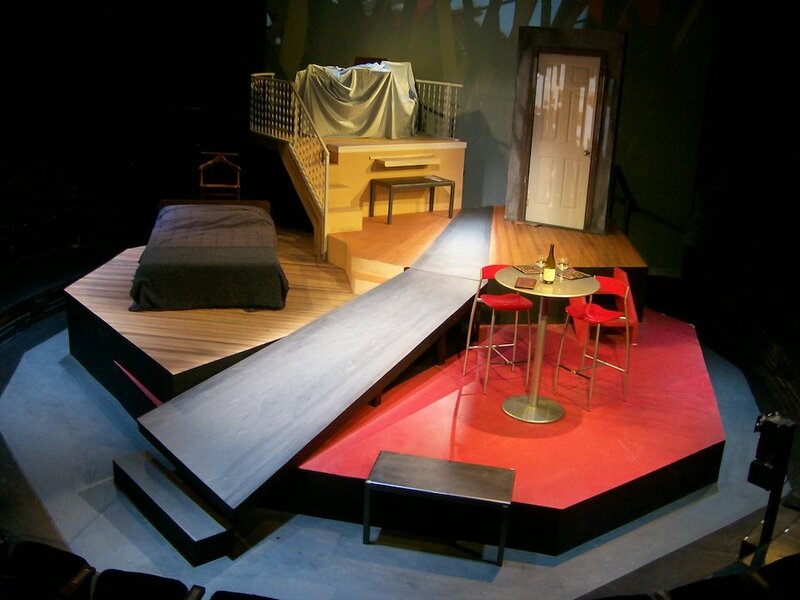 "…Set designer Andrei Onegin’s work isn’t merely clever, it’s provocative and creative. In her new home, the newlywed Hedda is trapped in a gift box and wrapped up like a fragile present, tied down by red ribbons (there’s a huge red bow in her dressing room) and other beautiful trappings. She’s in a gilded cage…"
Tigers be still. Theater Wit. 2014 non-equity Jeff Award WINNER!!! 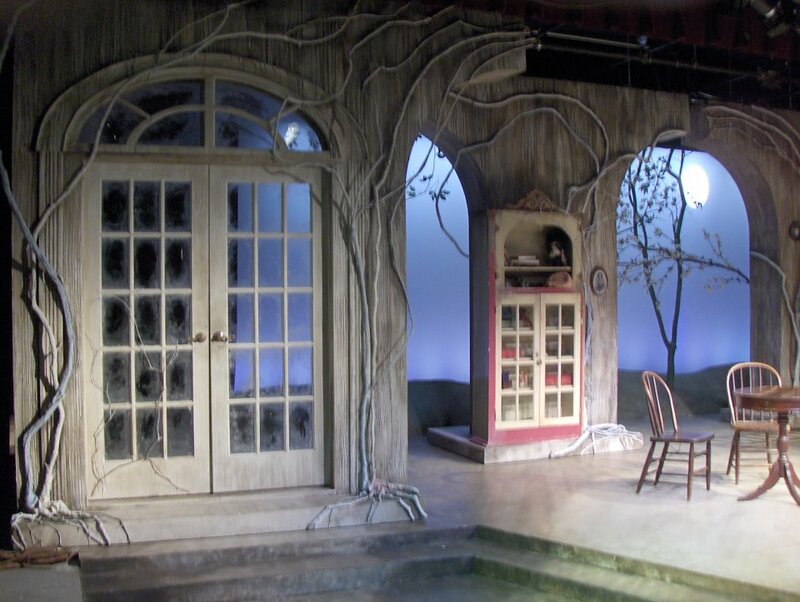 "…Andrei Onegin’s magnificent set, with its irregular stone walls and wood beams, instantly takes us to the time and place…"
…All the action takes place in a pub (a terrific set design by Andrei Onegin). The locale is a desolate part of County Mayo in primitive western Ireland. Twisted melodies. 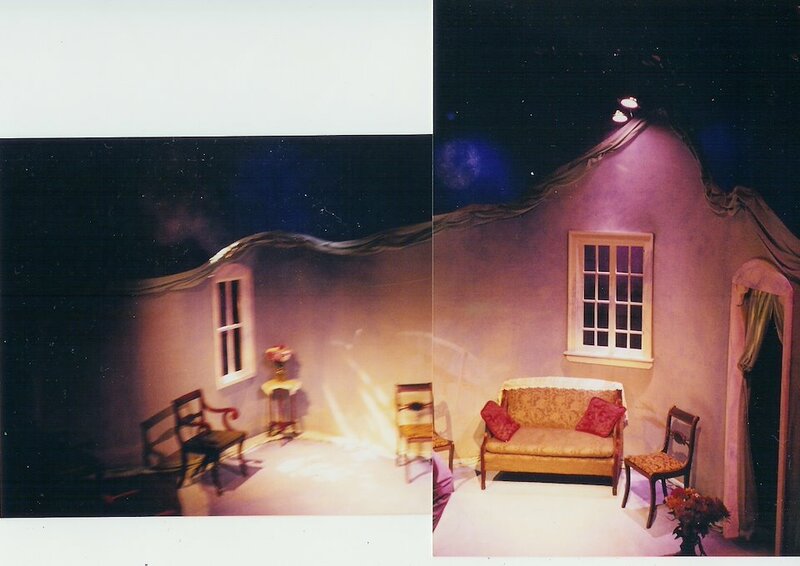 Set design, Set construction. 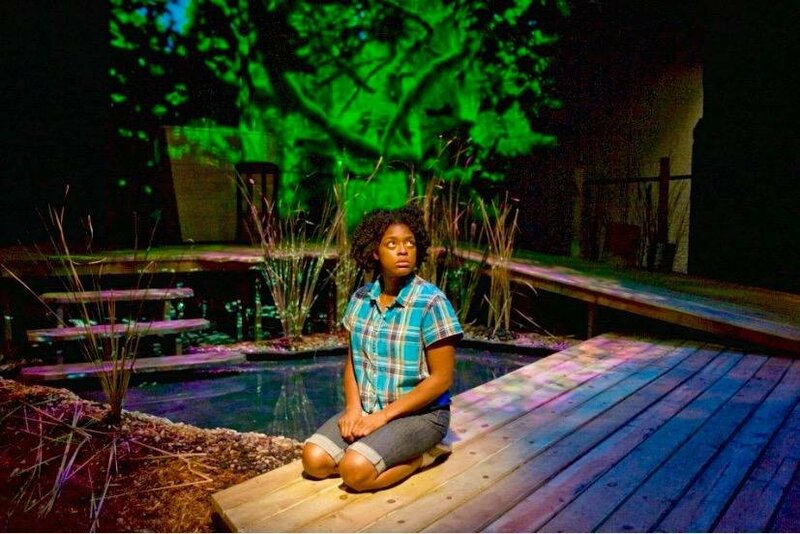 2015 Black Theater Alliance Award winner for best Set Design. Theater 59E59, New York, NY. "…The ingenious set by Andrei Onegin is itself a character. It has all the look of an elevator interior, with buttons and a sliding door. Getting out requires some gymnastics. The top of the elevator is the upper part of the set. Realistic and frightening sound effects by Toussaint Hunt and lighting by Rocco DiSanti create the illusion that we are all in a building under attack…"
"…Andrei Onegin’s elevator lurches and crumples scarily before it settles into being a tight, unique stage for Theodore and Tina to reveal their lives. Anne E. Grosz has a perfect eye for how to attire the characters, Tina’s dress being particularly right and attractive. Toussaint Hunt’s sound design creates isolated moments of ominousness. Rocco Di Santi’s lighting is appropriately stark…"
…Princess Club rests too heavily on the impressive set design and not enough on the merits of the story itself for it to be called a success. There is no need to ruin perfectly good fairytales in order to understand the difference between Cinderella and Lindsay Lohan. …Over the last year or two, the visuals at Redmoon have only grown in sophistication – and Andrei Onegin’s design for this show is exceptionally cool. The visual motif here is an abandoned warehouse – where princesses escape their packing cases and play out their own stories with each other, often with highly imaginative, puppet-driven versions of the classic fairy tales. 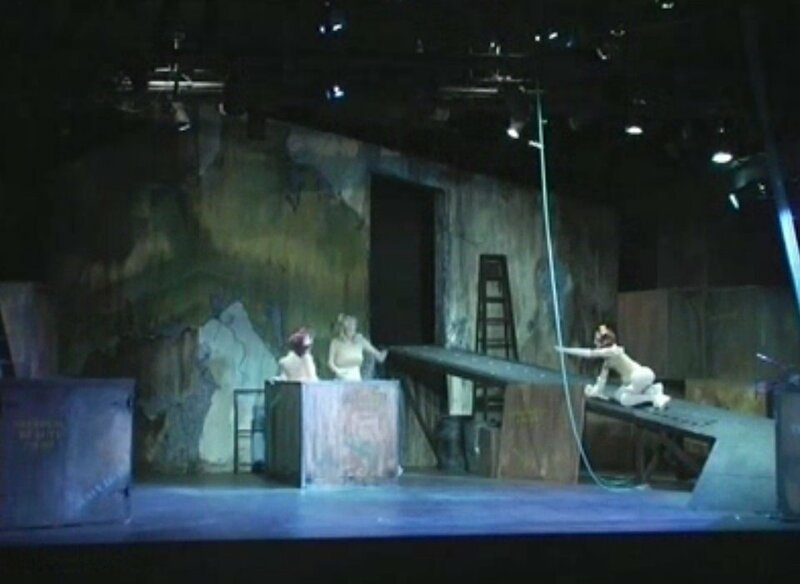 …The later comes courtesy of set designer Andrei Onegin; designer Frank Maugeri who’s responsible for the puppets and miniatures used in the lovely and whimsical “Sleeping Beauty” shadow play as well as Rapunzel’s wicked witch and Joel Klaff whose lingerie-inspired costumes (call it shabby boudoir chic) distort the actresses' bodies in grotesquely humorous ways. But it’s Onegin’s inspired sets – the rundown warehouse where the action unfolds; the packing crate turned tower prison; the marvelous miniature palace and the fanciful pumpkin coach – that dominate. 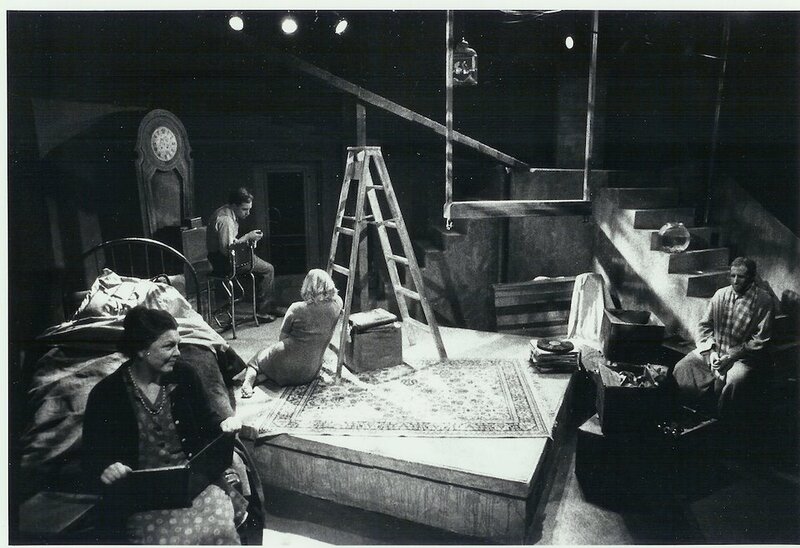 Set Construction – Seagull Works Scene Shop. 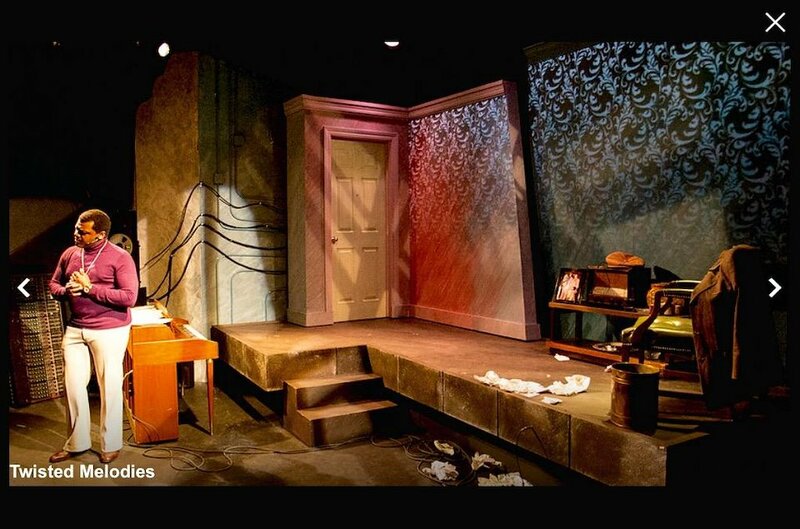 and 2014 BTA Award WINNER for Best Set Design. 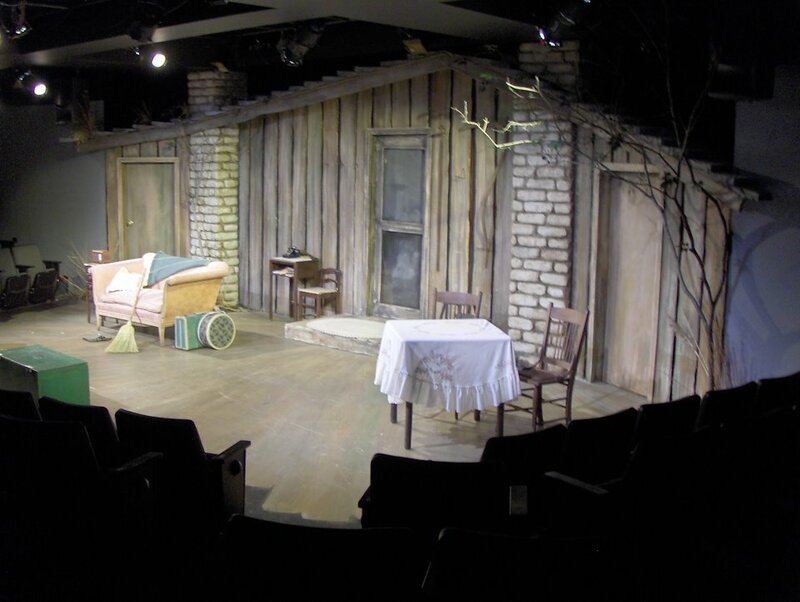 …For the limited space of the theater’s stage, Andrei Onegin’s set is cleverly designed to productively contribute to the play using every inch available. It is almost a character in its own right. The blue-green color of Hedley’s house imitates the seeds that he plants and hopes to grow; the broken chain-link fence can no longer keep troubles of the outside world out of the characters’ lives; and the elevated height of Stool Pigeon’s front door allows him to see the world from a different perspective. – Mary Kroek, New Stage. 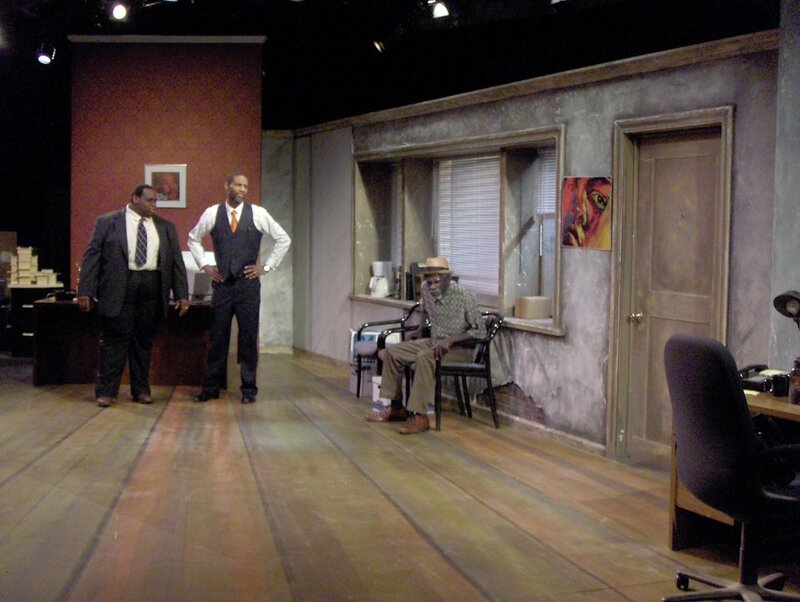 The death of a salesman. 2012 JEFF Award for Best Production. 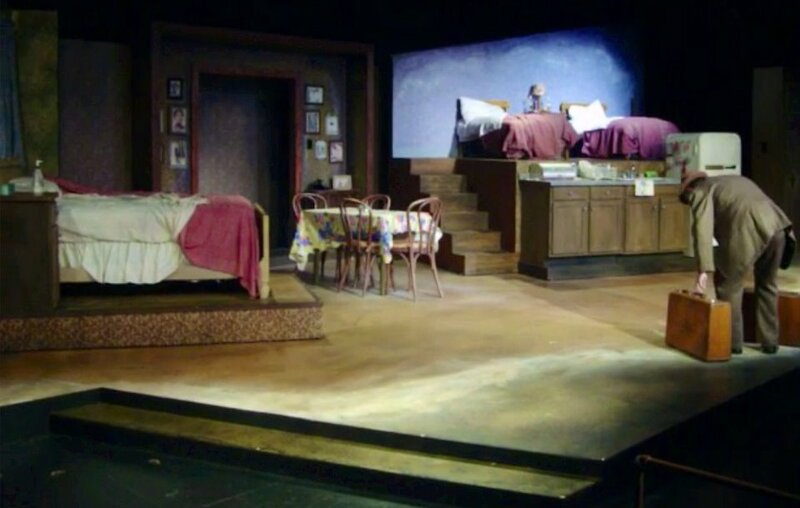 "…As the production opens, a haunting video montage chronicling the lonely, repetitive life of the traveling salesman is played, using the garage door that doubles as the entrance to the Loman home as a screen. This inventive use of grainy footage to set the tone before a word is spoken is credited to Scenic Design & Technical Director Andrei Onegin. 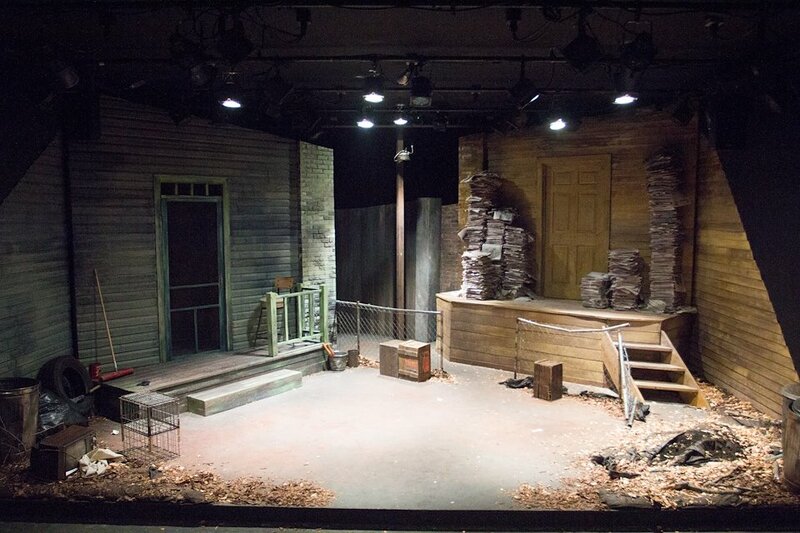 The set itself is a work of art. 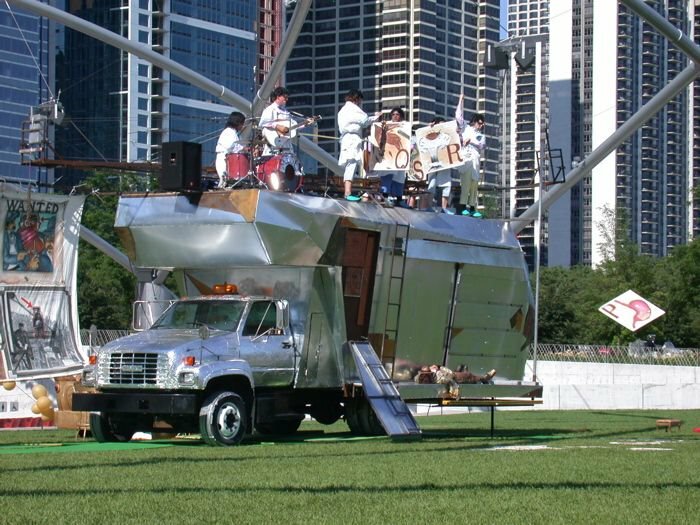 It spins, it tilts, it lends itself to repeated conversions into realistic interpretations of the Loman kitchen, an Italian restaurant, or any number of the nameless motels that Willy calls home each week. 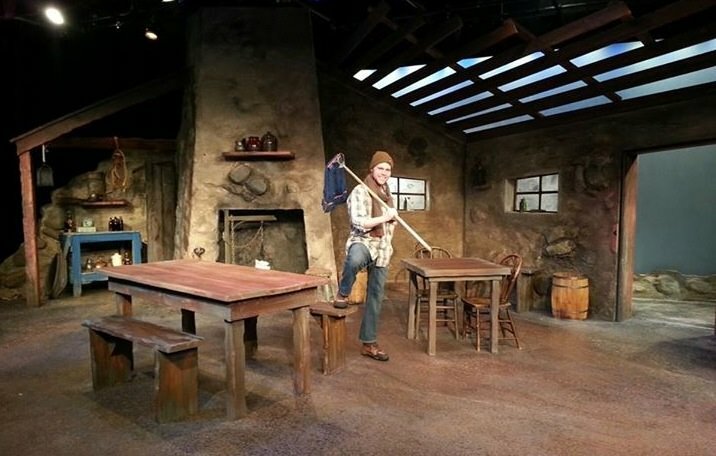 In companion with steady Direction from Michael Menendian, the players use every inch of available space, both on and off the stage, to weave a web of tragic inevitability that Willy himself set in motion 17 years ago…"